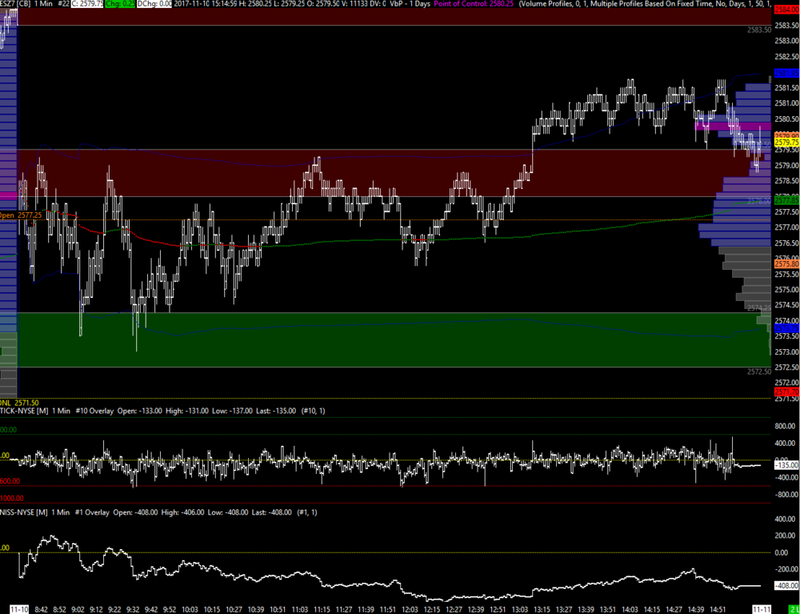 Very slow day on Friday with trade remaining between the initial support and resistance zones for most of the session. Underlying stock momentum was weak so when there was an afternoon break above IR, there was little follow through. Overnight so far the range is currently 2584.50-71.00 versus settlement at 79.50, having sold off from the highs all morning. There remain weak highs above which have a good chance of being taken out if the 72.50 level can hold, which is a composite high volume node (CHVN). There is PPI data due tomorrow and CPI and Retail Sales on Wednesday, Industrial Production on Thursday. Weakness below 72.50 could trigger some short term liquidation. 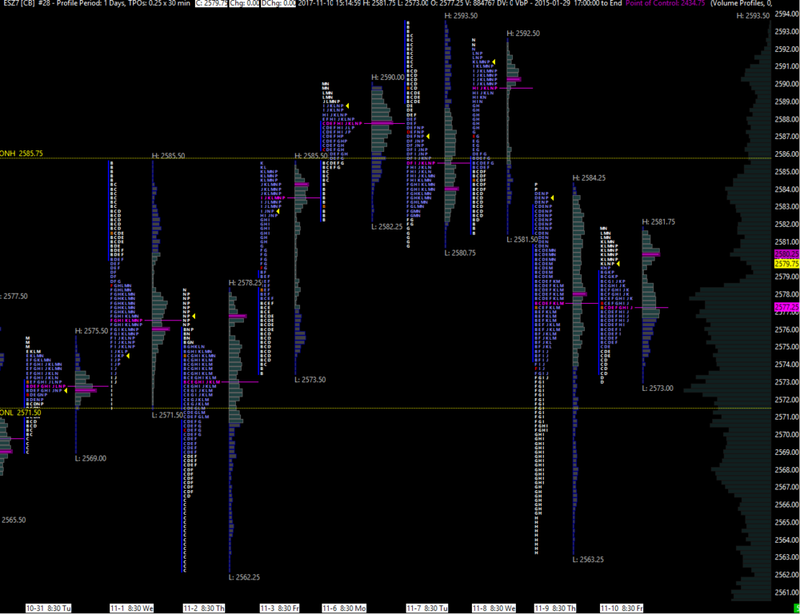 This month's low is at 62.25, which if broken puts last month's VPOC/POC and mid point into play at 2549.00. If the market begins to accept below that level risks derailing the bull in the intermediate time frame and we could finally get a move lower to retest the breakout from the 2504-09 area. On the upside we still have the IR zone at 78.00-79.50 which if broken becomes support, as we saw on Friday. If we are seeing positive moves with the NQ and TF at the same time along with underlying positive momentum and volume, the weak all time high could be challenged again this weak. However, the market is in more of a neutral state with both sides active and looking to dominate short term. The long term trend remains in bull mode for now.